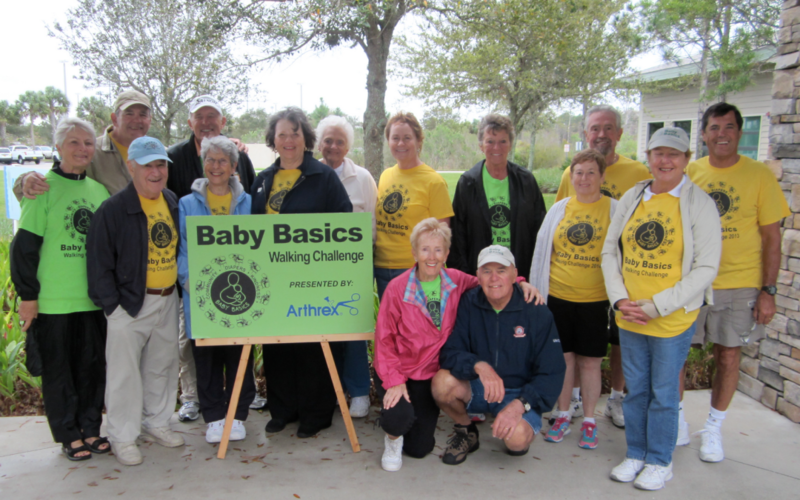 Baby Basics of Collier County is proud to host the 2015 Walking Challenge. This event will help bring awareness to the numerous families in the area with infants in need of new, clean diapers. Baby Basics works with low-income families in need of assistance, providing diapers and kindness. On January 23, 2016, The Baby Basics Walking Challenge will be held at North Collier Regional Park at 15000 Livingston Rd., Naples, FL. Registration begins at 8:30 AM, the Walk begins at 9:30 AM and brunch will be served following the walk. This walk is for participants of all ages and everyone is welcomed! Teams are competing to receive the following prizes: Theater Tickets, Red Sox Tickets and Dinner for 2. How can you win these prizes? Simply continue to raise money for Baby Basics of Collier County and have the donations noted to your team’s name! Want to register a team for the walk? Simply sign up here and your team can join us in supporting families who do not have the financial resources to provide diapers for their babies. Can’t Walk? How Can You Help? If you are unable to make the Walk or are looking to support the Walk in other fashions, you can support a team already registered in the event or easily donate to Baby Basics of Collier County here! Remember, any assistance or participation in this Walk is appreciated and helps support low-income families with infants in need of diapers. Clean diapers for children not only improves the health of the child, but the mental state of the child and the family as well. Providing diapers to these families goes much farther than just providing the material necessity. It helps ease the burden of families and enables them to focus on achieving other goals and providing a steady home environment for the child. We hope to see you at the event!